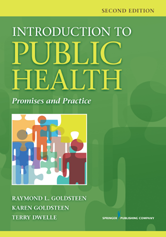 This second edition of Introduction to Public Health is the only text to encompass the new legislation implemented by the Affordable Care Act, with its focus on prevention and its increase in funding for prevention research. Updated and thoroughly revised, this foundational resource surveys all major topics related to the U.S. public health system, including organization on local and national levels, financing, workforce, goals, initiatives, accountability, and metrics. The text is unique in combining the perspectives of both academicians and public health officials, and examines new job opportunities and the growing interest in the public health field. How Do We Define Health? HAS PUBLIC HEALTH LIVED UP TO ITS PROMISE? What Are the Barriers to Public Health's Success? HOW WILL HEALTH CARE REFORM AFFECT THE FUTURE OF PUBLIC HEALTH? WHAT ARE THE EMERGING GLOBAL THREATS TO THE PUBLIC'S HEALTH?